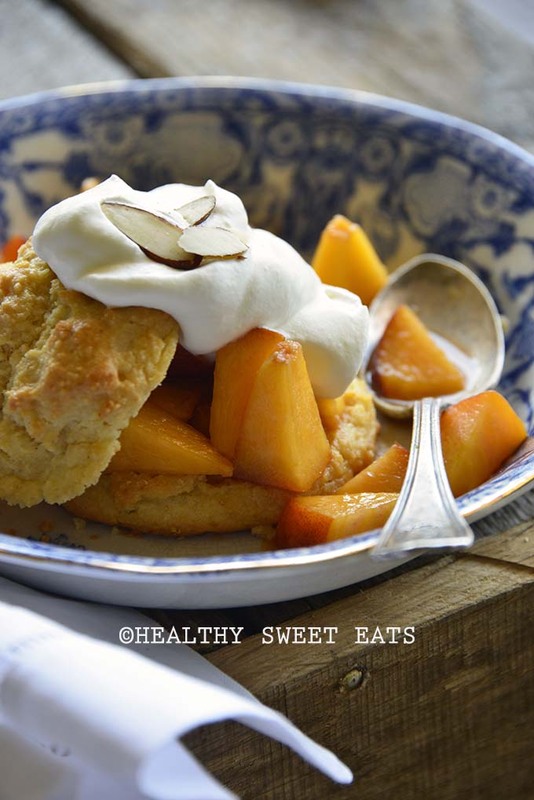 One summer dessert recipe that always takes me back to childhood is shortcake. Particularly, strawberry shortcake made with berries we picked at a nearby farm. I would watch my mom wash and hull them, douse them in sugar, and stick them in the fridge until after dinner. The funny thing is, while everyone else was eating strawberry shortcake, I’d sit down to a bowl full of macerated strawberries with a dollop of whipped cream and be a happy girl! These days, I enjoy the shortcake part of shortcake just as much as everyone else, but I prefer to keep it gluten free and as low in carbs as possible. 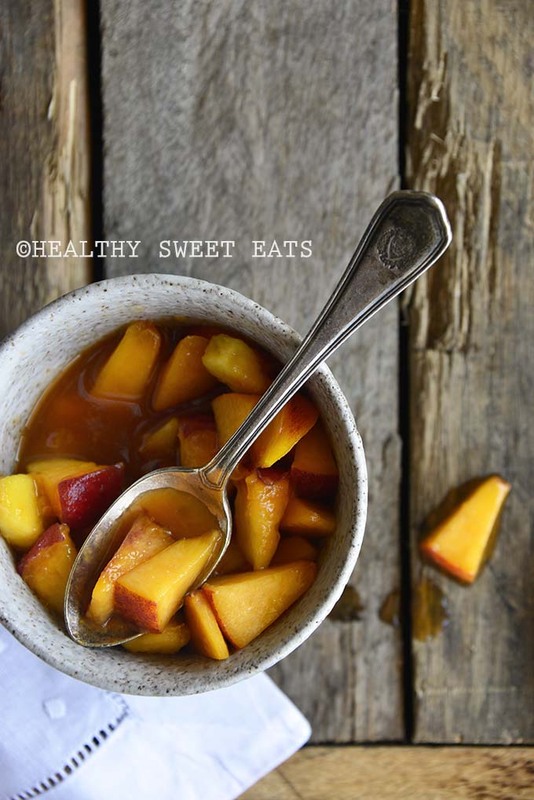 For this recipe, I went with peaches instead of strawberries, mostly because they looked and smelled pretty incredible at the market and I just couldn’t turn them down. If you prefer to make strawberry shortcake instead, use 1 1/2 cups chopped strawberries and omit the molasses and cinnamon. I wanted to keep this recipe gluten free, and it was easy to do so after I came up with the perfect low carb, gluten free shortcake recipe. Shortcake is a biscuit-like crumbly quick bread that’s typically leavened with baking powder or baking soda. 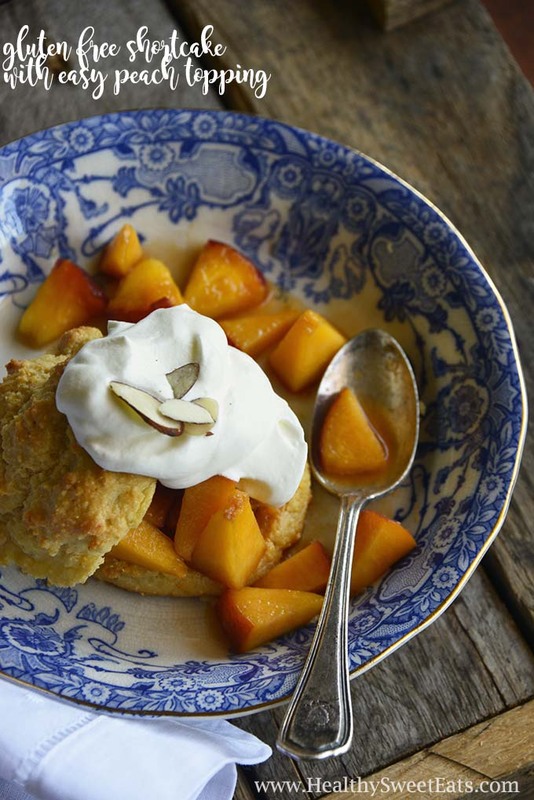 Similar to biscuits, shortcake has a high fat content (usually in the form of butter) that keeps it short (i.e., keeps it from rising too much). Additionally like biscuits, shortcake dough is usually dropped by the spoonful onto baking sheets, or rolled out and stamped into circles. Strawberry shortcake is the most popular type of shortcake. In it, macerated strawberries along with their juices are spooned on top of the bottom half of a shortcake that’s been split open. Whipped cream is typically added (because it really doesn’t get any better than strawberries and cream). Shortbread is more like a dry, crumbly cookie (what the British refer to as a biscuit). Shortcake is more similar to a crumbly American-style biscuit than a cookie, and typically has eggs and leavener added to make it lighter in texture than a cookie. 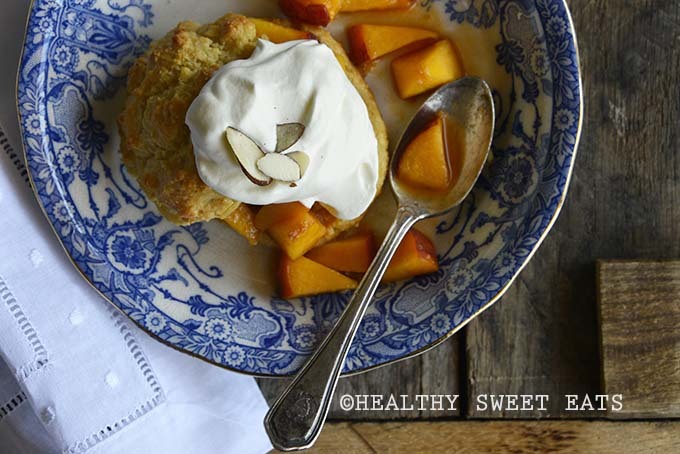 Use your macerated fruit to make gluten free shortcake and enjoy! 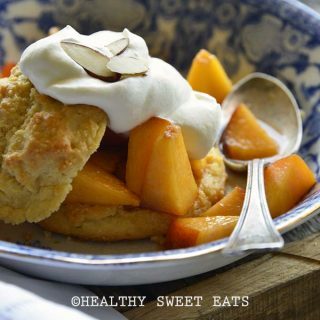 Gluten Free Shortcake made with keto-friendly shortcake biscuits and no-sugar-added macerated peaches will become your new favorite summer dessert! Stir together all ingredients for the peach filling. It will thicken and turn somewhat syrupy if you let it sit for about 5 to 10 minutes. You can also use a fork to mash up the fruit a bit if you want it to have a slightly jam-like consistency. To serve, slice the biscuits in half. 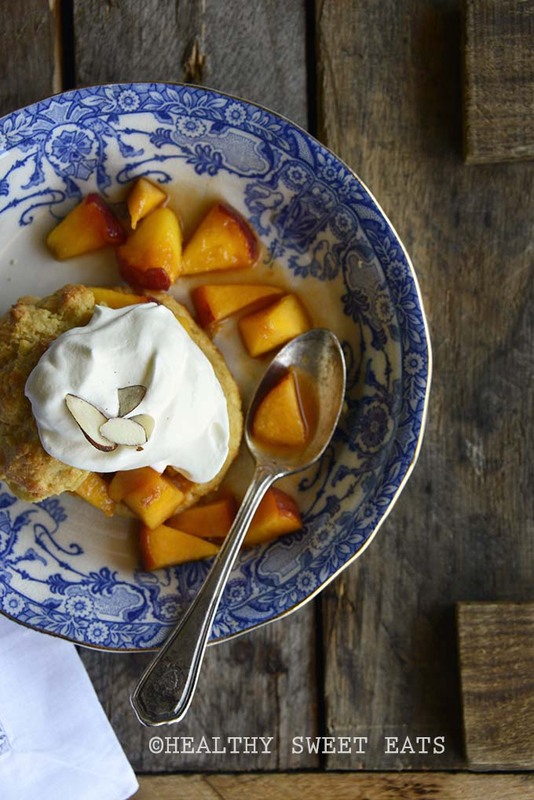 Spoon the peach filling on top, and top with a dollop of whipped cream. Strawberry Shortcake Option: Use 1 1/2 cups chopped strawberries and omit the molasses and cinnamon.